Indeed, sometimes, you have to avoid some of your favorite food and beverages to stay healthy. There are certain ‘poisons’ that we need to stay away from so our system can function well, which is why there’s such a thing called diet. And in today’s world where processed foods take most of the space of refrigerators, there is a need to sort the good from the bad. This underscores the importance of proper nutrition. Keeping fit entails a lot of discipline and hard work, especially if you have the type of body that tends to gain weight faster than others even when you don’t much. You have to resist the urge to eat your favorite fast food. However, if you’re on the other side of the spectrum, meaning your body doesn’t seem to gain weight despite eating a lot of food, you may need additional help from vitamins and minerals. As one of the most important networks of biological structures in our body, the immune system is our biggest line of defense against diseases. Without it, our body will succumb to the attacks of bacteria and viruses. Eating the right food helps in protecting teeth and keeping the gums healthy. Chewing food is the first stage of digestion, so the teeth have to be in great shape so food can be broken down into very small pieces. Believe it or not, you may need to chew 25 times before you swallow the food you eat. Needless to say, without energy, there’s practically nothing we can do physically. Even thinking needs some amount of energy for the brain cells to function well. The fountain of youth will never be discovered, but at least with good nutrition, the effects of old age won’t be very obvious. Eating right can give your skin a youthful glow. Work can just make you feel tired and weary, and stress can creep in anytime. By being properly nourished, your body has the strength to ward off the ill effects of fatigue. No physical and mental fatigue, no stress. If you go to the gym regularly or play sports, you need the energy to sustain it. When you’re nourished appropriately, your stamina will be consistent, hence improving your performance and staying power. Eating and drinking the right stuff can make you feel lively and full of life. When you take in the right food and complement it with the right vitamins, your body responds to it by making you feel really good. When you feel good, it means you’re healthy. Get proper nutrition and live life to the fullest! 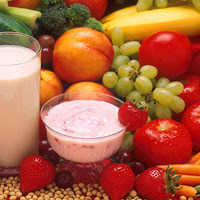 Do you know that you can beat cancer with proper nutrition? Discover how by reading Beating Cancer with Nutrition (with CD) by Patrick Quillin today! Peter Roseberg is a health and nutrition writer. He is currently working as a web consultant for Nutrition Warehouse website. For more info on various health supplements and vitamins, check out Nutrition Warehouse.